I had driven past this old shed for many years and often wondered what it may have been used for. It sat out in the middle of a farmers field with nothing else around it, braving the elements of all the seasons. Each year it would lean over a little bit more and the paint would become more weathered. I never saw any human activity there or even any machinery stored inside. It was just there. 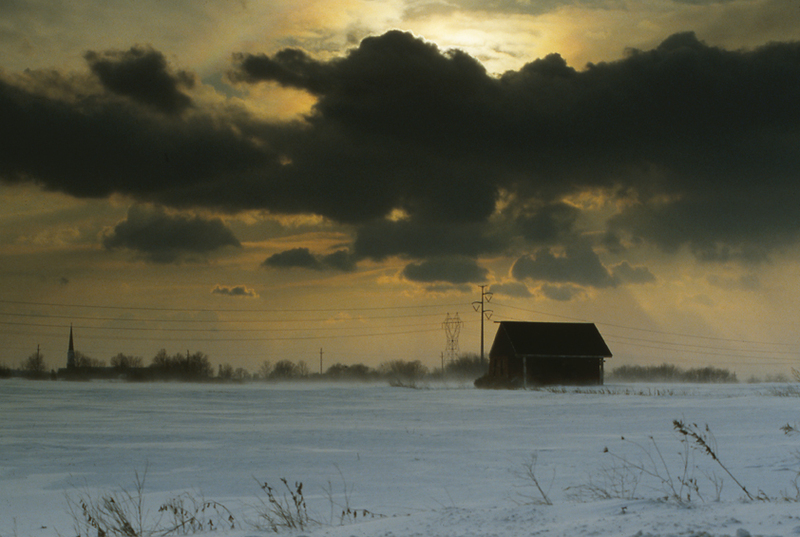 Late one winter afternoon, I was driving by the old farm and shed, the wind was blowing fiercely. Snow was drifting and covering the roads that were clean and dry a few hours before. It was the pre-curser to a storm that followed later that night. I had my camera with me and wanted to capture the stormy weather and the shed standing up to the impending storm. Sadly, last spring the old shed was torn down and a community of new homes took it’s place. I am glad I was able to take this photograph before this old shed vanished. It was the inspiration for me wanting to capture and preserve the images of older buildings and structures in the area I live. They may not be there tomorrow. I rarely have concerns about getting lost traveling around the United States, since I figure we all speak the same language and I can always ask for directions. Although, there have been times when I did wonder if I was in a foreign country, or even in the Twilight Zone. Because I would hear the words, but they wouldn’t make any sense. It was as if they were spoken in a completely different language that only a local resident could understand. I have always been fascinated with the seemingly random patterns created by trees in the woods, especially in the winter when the leaves are gone and snow is on the forest floor. And I have found if you study them long enough, not-so-random patterns can start to develop. During a late October snowstorm, which dumped a foot of heavy wet snow, we had a lot of broken branches and downed trees here in the heart of the hardwood forest where I live. The landscape has been drastically altered and I have been able to photograph many of the changes. However, I have been waiting for the perfect moment to capture this one tree with two broken branches. It is at the edge of our property and I see it every time I walk out onto our deck. We had a small amount of snowfall a few days ago, and the other morning the temperatures rose, creating a misty foggy atmosphere. Finally…the moment I had been looking for. I set up the tripod and took a series of shots. Both horizontal and vertical formats worked well and I also played around with the white balance. Some settings rendered the scene as it was, and other settings gave a colder tone. I liked the contrast of the dark wet trees against the snow. And the muted spot of color from leaves on the oak trees, which will stay until Spring. The foggy mist added just the right mood. 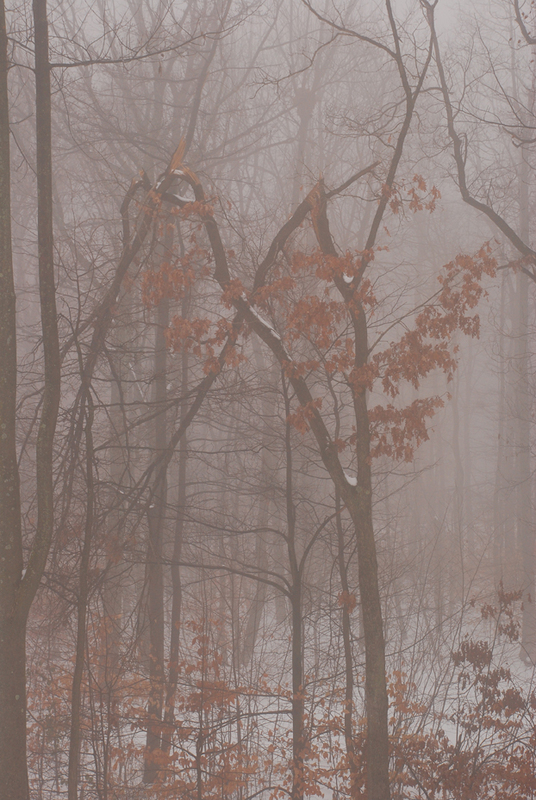 And the crossing of the broken branches provided a focal point against the jumble of smaller criss-crossing branches. In my previous post, I described our quest to be the first people in the country to see the sunrise at Quoddy Head State Park, which is the eastern most point in the United States. While the sunrise that morning was short lived due to dense fog, we returned a few hours before sunset to visit the West Quoddy Head Light. 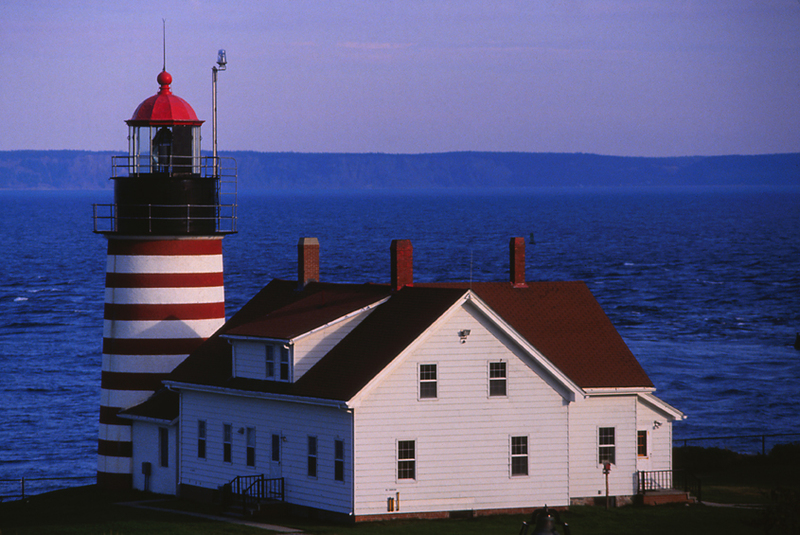 The 49 foot tall lighthouse and keepers house were built in 1858 and stand guard over the Quoddy Narrows, which is a strait between Canada and the United States. Known to be a very foggy area, the beacon, fog horns and bells warn mariners of the dangerous ledges, cliffs, and the infamous Sail Rock, which is a large outcropping several hundred yards out to sea. The lighthouse is now automated and maintained by the U.S. Coast Guard. While closed to visitors, tours can be taken of the light keepers house. As we explored the site on our own, we wondered what life was like for the person or family who’s task it was to maintain the lighthouse. How did they entertain themselves? Was it a lonely experience or did they embrace the privacy? Were they allowed to leave the site to go into town once in a while? Fortunately, we ran into a volunteer who was preparing to give the last tour of the day. How lucky was that? We learned about the lifestyle of the light keepers and their families, how they maintained the station and what they did for amusement. This lighthouse is not as remote as others in the state, so the families often had visitors. The children walked to school for several miles to the town of Lubec. Supplies for the keeper’s families were procured there as well. At the end of our tour, I was able to capture this image of the station, bathed in lavender light from the sunset. Grand Manan Island which is part of New Brunswick, Canada, is visible at the horizon, about five miles out to sea. A few years ago, my wife and I were vacationing along the coast of Maine, exploring the many small towns along the way to our final destination to the eastern most point of the United States. Upon reaching our last stop-over, the plan was to be the first people in the country to see the sunrise the next morning. To accomplish our goal, we needed to travel to the West Quoddy Head State Park in Lubec Maine. There is a lighthouse in the park, built in 1858, and it stands guard over the Quoddy Narrows. Quoddy Narrows is a strait between Canada and the United States. We stayed at a bed and breakfast, and on the morning of our quest, hit the road around 4:00 am…long before anyone else began to stir. It was a short drive and we arrived at the park about 45 minutes before sunrise. Daybreak was still a good half hour away, so we had plenty of time to make our way down the trail that follows the cliffs alongside the ocean. Flashlights helped in finding a good vantage point since it was still dark and we were in the middle of an evergreen forest. The smell of the trees was wondrous at that hour of the morning. We were able to get a few shots of the lighthouse and its beacon as dawn was approaching. Unfortunately, a glorious sunrise wasn’t meant to be that morning. The sun rose above the horizon for a few minutes and then it was obscured by fog. At least we were the first ones to see sun-up. Thinking to make the best of the situation, we looked over the edge of the cliff at the rocks below and saw a great photographic opportunity. I grabbed my gear and climbed down the 40 foot cliff to the ocean’s edge. It was then I realized the tripod was up on top of the cliff with my wife. I had two choices on what to do. Climb back up and meet my wife halfway so she could hand me the tripod…or make do with the situation at hand. I decided it was time to make do before my feet got wet. The tides there are extreme, averaging around 15 feet, and it was coming in…fast. I was using slide film, it was still early dawn and foggy, so there wasn’t a lot of light available. The fastest shutter speed I could muster up was 1/15th of a second. Turning myself into a tripod, I squatted down, tucked my elbows in between my legs, held my breath and fired off about 6 shots. When the slides came back from the lab, I was surprised to see that they were sharp, and I had managed to capture some movement in the water. I don’t recommend this technique when a tripod and cable release can be used, but occasionally you can get lucky. Very lucky. 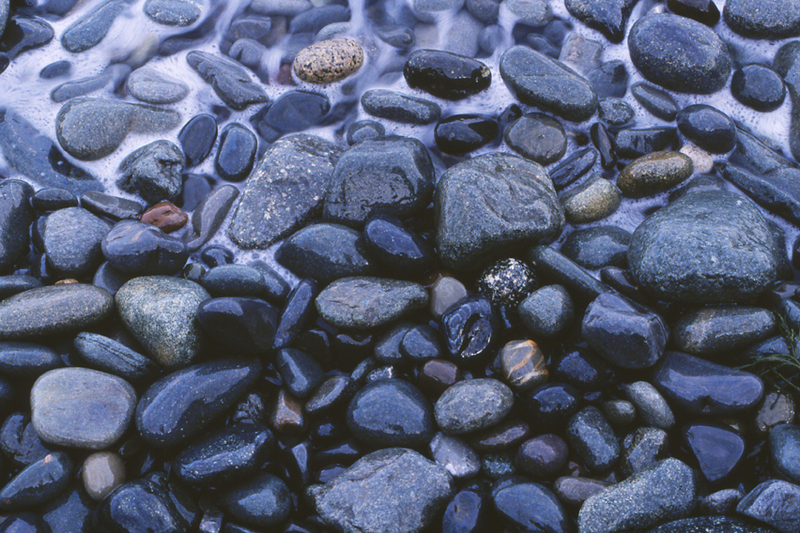 I used a section of the rocks as the feature image in my masthead for this blog. 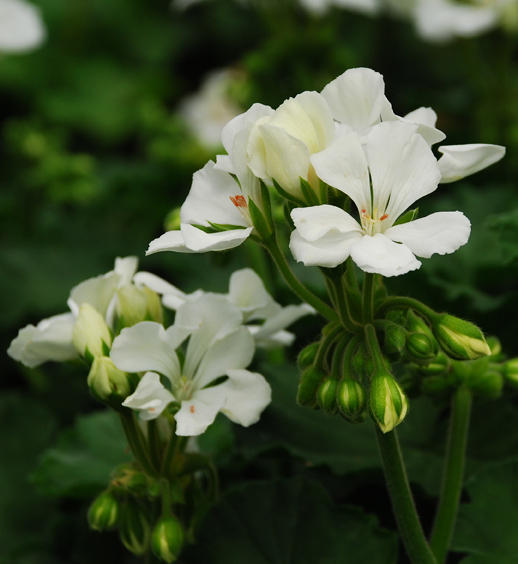 While looking through my archives, I found several photos that hint of a warmer season. When I took this particular photo, it was a summer morning, the sun was shining and there was a slight breeze. Conditions were a bit different then, compared to what we have been experiencing lately. Yesterday I heard the weather man say the outside temperatures may climb above the 30 degree mark this week…for a day or two. This would be a nice change since the temps have been in the 20’s during the day and the teens and single digits at night. And it has been very windy so that adds to the chill. No grilling dinner outside for me. We haven’t received any snow except for the fluke October storm that dumped 12 -14 inches of the white stuff in one day. So, photos of landscapes under a fresh blanket of snow are going to have to wait since there is nothing in the forecast that refers to a winter wonderland anytime soon. But then again, you never know what Mother Nature may have up her sleeve. Handling a tripod with metal legs that are close to a cold outside air temperature has always been a challenge for me. 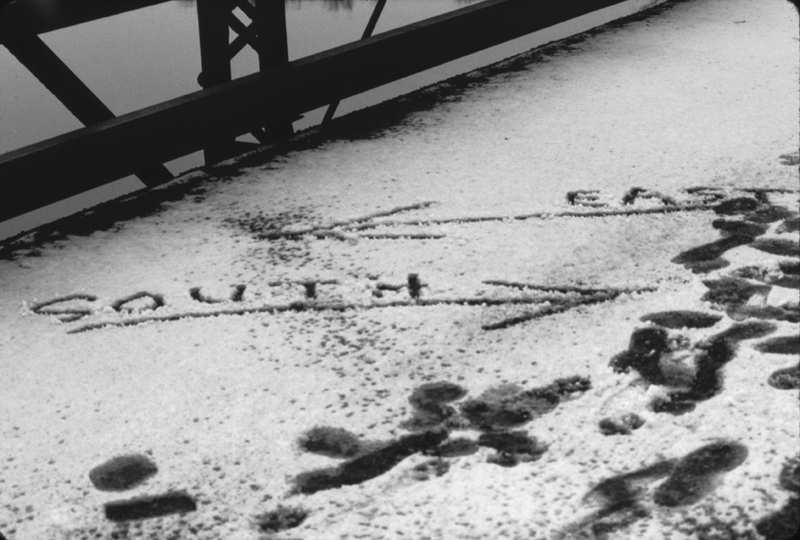 In the winter, setting up the tripod and then composing shots is difficult because my hands get cold. When it is warm outside, carrying a metal tripod on my shoulder is not the most comfortable thing to do either. 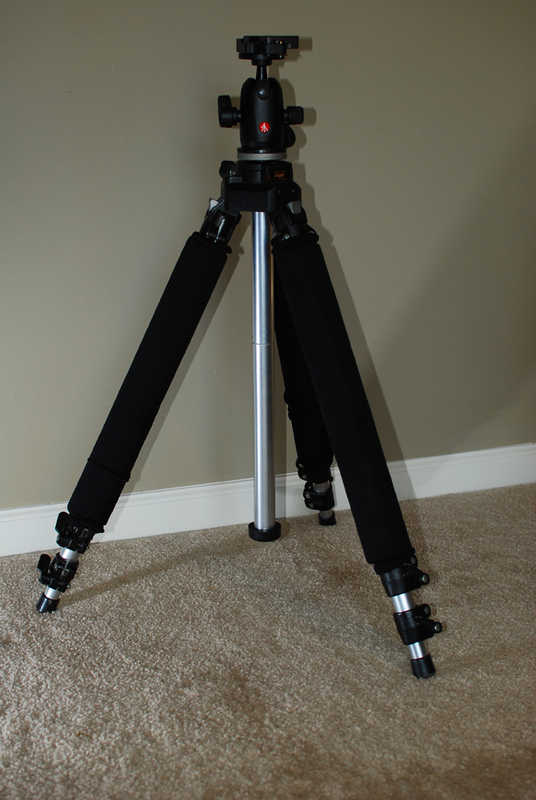 One way to alleviate the discomfort of tripod tubing on a shoulder or cold feel of the metal legs, is to cover them with some kind of padding. My wife gave me a set of tripod leg wraps from OP/TECH USA this year. The wraps, or covers as they are sometimes called by other manufacturers, insulate the cold legs from bare hands, and help cushion the tripod when carrying it on your shoulder. Covers, pads or wraps also help protect the tripod from dents and scratches. They are easy to install, lightweight, very durable and can be washed with damp cloth if they get dirty. With padding on the legs of my tripod, my hands no longer become numb from the cold metal. And in the summer, it will be way more comfortable carrying the tripod when trekking about the countryside.